We decided to address you today on the outcome of the charge of Criminal Conspiracy, Culpable Homicide Punishable with Death, Unlawful Assembly, Disturbance of Public Peace and Wrongful Restraint filed against over 100 members of the Islamic Movement in Nigeria. 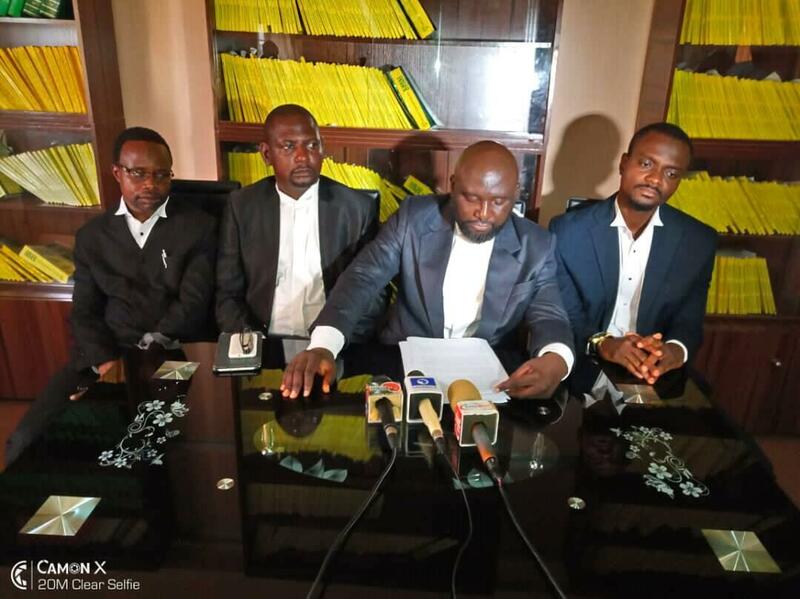 Our decision to address this press conference is also informed by our desire to give you an accurate picture of what transpired in Court on the 31st day of July 2018 and to respond to the position of the Attorney General of Kaduna State in her press statement of the same day that the Kaduna State Government will appeal the said judgment. As some of you are aware, on the 31st day of July, 2018, the Honorable Justice David Shiri Wyom of High Court No. 5 Kaduna discharged and acquitted 89 members of the Islamic Movement in Nigeria (IMN) standing trial for sundry offences including Criminal Conspiracy, Culpable Homicide Punishable with Death, Unlawful Assembly, Disturbance of Public Peace and Wrongful Restraint. 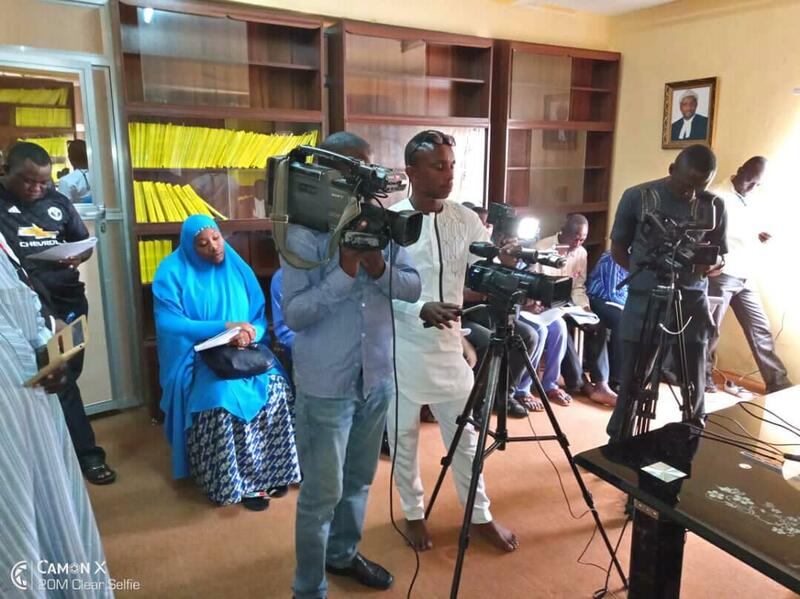 We decided to address the Press on the issues arising from the decision of the Kaduna State High Court discharging the accused persons based on the press statement issues by the Hon. Attorney General and Commissioner for Justice of Kaduna State. In the press statement, the Honorable Attorney General informed the public that the judgement was perverse and totally lacking in merit.” She stated that In prosecuting the case, the State called 47 witnesses and tendered several exhibits. The prosecution believes that a compelling case was argued. Therefore, an appeal will be filed to challenge the ruling of the court, She further stated that Despite the quality of evidence placed before the honourable court, it ruled in favour of the accused persons and that The Kaduna state government hereby states that it is totally dissatisfied with the ruling which it views as perverse and totally lacking in merit and shall appeal immediately to the Kaduna judicial division of the court of appeal. The Defendants were arraigned before Honourable Justice David Shiri Wyoms of the Kaduna State High Court on the 21st of June 2016 on a 5 count charge alleging against them the offences of Criminal Conspiracy, Culpable Homicide, Unlawful Assembly, Disturbance of Public Peace and Wrongful Restraint. All the Defendants in CHARGE NO: KDH/KAD/39C /2016 numbering 49 pleaded not guilty to the Charges against them. All the Defendants in CHARGE NO: KDH/KAD/37C/2016 numbering 40 in all also pleaded not guilty to the Charge. Both cases were eventually consolidated and adjourned for hearing. After the prosecution concluded its case, the Defence x-rayed the evidence placed before the court and decided to make a no case submission on behalf of all the Defendants considering that it was the belief of Defence Counsel that no credible evidence had been placed before the Court to ground the charges against the Defendants. In making its no case submission on behalf of the Defendants, the Defense team led by Maxwell Kyon Esq. formulated a lone issue for determination which was whether from the entirety of the facts placed before the Honourable Court, there was any basis for His Lordship to find that a prima facie case had been made out against the Defendants so much so that they could be called upon to enter a defence in the matter. It is important to state here that the fulcrum of the case of the Prosecution revolved around the case of Culpable Homicide Punishable with Death. This was the charge that gave the prosecution the unconscionable cover to stall and hold the accused persons in prison custody for 2 years and 7 months seeing as persons charged with the commission of capital offences are not ordinarily granted bail. It was the bogey charge that permeated all the charges they filed. This same charge with the same tenor can also be found in the charge filed against the leader of the Islamic Movement in Nigeria Mallam El Zak Zakky. In our submission we stated clearly that the only ingredient of the offence of Culpable Homicide Punishable with death that the Prosecution established was the fact that one soldier died as against the 347 IMN members that the Kaduna State Government admitted were killed by the members of the Armed Forces during the December 12-14 mayhem in Zaria. From the point of establishing that a death occurred, the entire case of the Prosecution spiraled into complete unreliability and incredulity. Prosecution witness No. 43 CSP Ibrahim Abdul was the Chief Investigating Officer in respect of the matter at hand. The Army handed over the Defendants to him and in his evidence before the Court and under cross examination, he informed the Court that the Nigerian Army informed him in the course of investigation that Cpl. Yakubu Dankaduna (the soldier they alleged was killed by all the IMN members) died as a result of friendly fire. Friendly fire is simply defined by the Advanced English Dictionary, Online Edition as fire that kills an ally or a friend. The implication of PW43s admission under cross examination that the Army suggested to him that Cpl. Dankaduna, who the Defendants standing trial are alleged to have killed, was actually killed by friendly fire completely and conclusively exculpates the Defendants from being the persons who caused the death of the said Cpl. Dankaduna and hence without any skull doggery puts paid to the Charge of Culpable Homicide Punishable with Death against the Defendants. If Cpl. Yakubu Dankaduna was killed by his own colleagues, why should members of the Islamic Movement in Nigeria be charged for his death? Furthermore, contrary to the charge that Cpl. Dankaduna was killed when he alighted from the convoy of the Chief of Army Staff during the blockade of the 12th day of December 2015, the Army testified that he was killed in Gyellesu sometime after 12:00am on the 13th of December 2015 after his troops arrived at Gyellesu. What is curious in relation to the charge and the evidence is the fact that the Chief of Army Staffs entourage was blocked on the 12th day of December 2015 sometime between 3pm and 4pm or there about at Husaniya but from the evidence Dankaduna died at Gyellesu on the 13th day of December 2015. What We Expected From the Kaduna State Government Upon the Dismissal of the Case Against the Defendants. Rather than talking about appeals, we had expected the Kaduna State Government to issue an apology to all the accused persons that have been discharged by the Kaduna State High Court who have, by the day of their discharge and acquittal spent a period 2 years and 7 months in prison custody awaiting trial on charges which were clearly bogus and frivolous. It was clear that the government by filing the said bogus charges against them just wanted to keep them out of circulation. Among the accused persons were 4 students of the Ahmadu Bello University, Zaria. 2 are students of the Kaduna State Polytechnic in Zaria and a host of others were students of different tertiary institutions and secondary schools. All of them have lost their status as students due to incarceration and some of them have lost their parents, relatives and their homes. In the case of two of the students of ABU, we filed a bail application on their behalf requesting that they be granted bail with an undertaking from their father who is a Professor at the same University to ensure they were in court on every adjourned date to stand their trial. The state vehemently opposed our bail application. Today they have lost their places in the said institution. 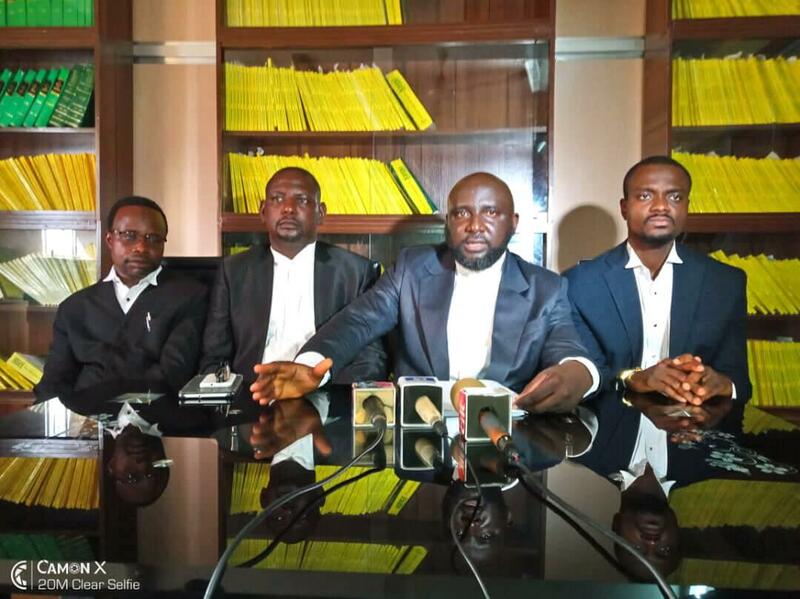 The Court has pronounced them innocent of whatever offence they are accused of committing and we had expected some empathy from the state government, some form of scholarship to enable them continue with their education, medical examination of their health and some compensation to enable them start life afresh. Over 80% of those discharged by the Court were married with children and of this number almost all of them were the bread winners of their families. As a result of their incarceration they were not able to meet with their responsibilities of providing for their homes. A number of them lost their marriages. The wife of one of them even left the matrimonial home abandoning her kids who were 9 years old and 3 years old respectively. During the period of incarceration about 4 of the Defendants died in custody and their wives are now widows and their children orphans. The Kaduna State Government knew that some of them who were either gravely ill before incarceration or who developed ailments while incarcerated had their situations worsened due to the unavailability of a proper environment to manage their ailments. We are convinced that with proper management some of them will be alive today and yet the Kaduna State Government does not deem it fit to visit and commiserate with their families and pay them adequate compensation. A large number of those that stood trial were workers in various ministries, agencies and departments of government in various States of the Federation. Most of them could not do their BVN due to their incarceration. Many of them had had their appointments terminated and their pensionable appointments and benefits lost. The Kaduna State Government does not consider this grave injustice since the trumped up charged against the accused persons has been thrown out. We are shocked that the Attorney General (AG) of Kaduna State in her Press Statement said the judgment of the Kaduna High Court was perverse and totally lacking in merit. What the AG failed to tell the public in the statement is that of the 47 witnesses they called, 40 of them were police officers who never visited the scene of the purported crimes. What the AG failed to tell the public is that 95% of the Defendants had written statements showing they were not even at the scene of the events that gave rise to the cases and only made it to the scene after the army had killed the over 346 persons who were eventually buried in mass graves by the state. What the AG failed to tell the public is that the Chief Investigating Police Officer had under cross examination admitted that the army had told him during the course of investigation that Cpl Dan kaduna who was supposed to have been killed by the defendants was actually killed by friendly fire from the soldiers themselves. What the AG also failed to mention is that none of the witnesses who testified was able to situate any of the Defendants at the scene of the crime in their testimonies. What the AG did not mention was that at least 10 of the Defendants who were arrested were not even mentioned at all in the case from beginning to end. What the AG did not mention was that though the charge filed against the Defendants stated that Cpl. Dan Kaduna was killed at Hussainiya when he along with others alighted from the convoy of the Chief of Army Staff (COAS) the evidence given at trial pointed to the fact that he was killed by his fellow soldiers at a place other than Hussaniya and on the 13th of December not the 12th of December as stated on the charge. It is also worthy of note that the Attorney General of Kaduna State never appeared in Court even for a day for the entire duration of this matter and cannot in good conscience speak authoritatively on the outcome of the case. The Kaduna State Government is free to exercise its constitutional right of appeal and the defendants who have been unjustly incarcerated for two years and seven months are not afraid of the threat of appeal. It is not too late for the Kaduna State Government to do what is right, just and equitable by retracing its steps and withdrawing the charges against the remaining members of the Islamic Movement in Nigerian pending before the Hon. Justice Hajara Gwada sitting at NDA since the charges are on all fours with the one before Justice David Shiri Wyoms that has been dismissed and the accused persons discharged and acquitted. We believe that if the intention of the Kaduna State Government is to punish the accused persons who are still in custody awaiting trial, incarceration for two years and six months is enough punishment. We believe that it is just, equitable and humane for the Kaduna State Government to assist the students that have lost their studentship to regain their positions in school as they are in the present predicament on account of their unconstitutional and illegal incarceration and trial. The Kaduna State Government should put them on scholarship to enable them continue with their education, pay for their thorough medical examination and pay them compensation to enable them start life afresh. We also believe that all the workers discharged and acquitted should be documented and assisted to regain their positions in the civil service and public service. The various State Governments stopped their salaries and eventually terminated their appointments on account of their unconstitutional and unlawful incarceration. The Kaduna State Government should pay condolence visits to the houses of those that lost their lives during their illegal detention and trial. The widows and orphans of those that lost their lives should be compensated and assisted to start life afresh. The Kaduna State Government must realize that the law demands that accused persons should be prosecuted and not persecuted. The case in Court and others that are in court are clear cases of persecution and no government is permitted to use the machinery of government and power of the state to persecute its citizens. We have the instructions of our clients to put up a robust defense at the Court of Appeal if the Kaduna State Government refuses to head wise counsel by showing empathy to those who have more or less lost all and insisting on persecuting them. Lead Counsel for the Defendants.